Bottom Line: A vibrant, snappy, nicely layered helles lager that really refreshes. 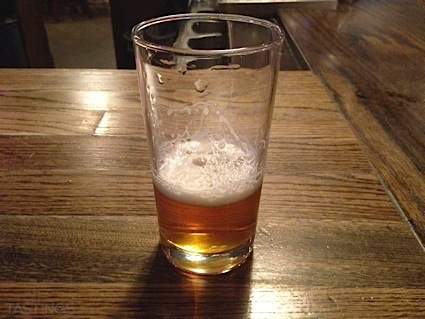 Munich helles lagers are pale to golden in color and range in alcohol from 4.5-5.5%. These beers traditionally malt-accented with subtle hop character. They are generally weightier than standard pale lagers though less substantial than dortmunder export styles. The finest examples still come from the brewing center of Munich and are relatively easy to find in major US markets. Noteworthy examples of this style include: Full Sail LTD 03, Hofbräu Original Lager and Paulaner Original Munich Premium Lager. 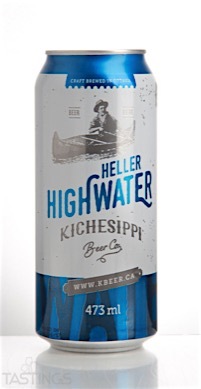 Kichesippi Beer Co. Heller Highwater rating was calculated by tastings.com to be 91 points out of 100 on 2/1/2017. Please note that MSRP may have changed since the date of our review.